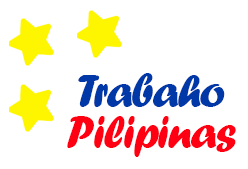 Below are the list of Legit Business Process Outsourcing(BPO) companies in the Philippines. This list can guide you to view companies profile information and possible career posting on their website. These are collected through web searching and investigating weather the company is legit or not. ANZ Global Services and Operations (Manila) Inc.
Macquarie Offshore Services Pty. Ltd.
Maersk Global Service Centers (Philippines) Ltd.
Sutherland Global Services Philippines Inc.
Thomson Reuters Corp. Pte. Ltd.